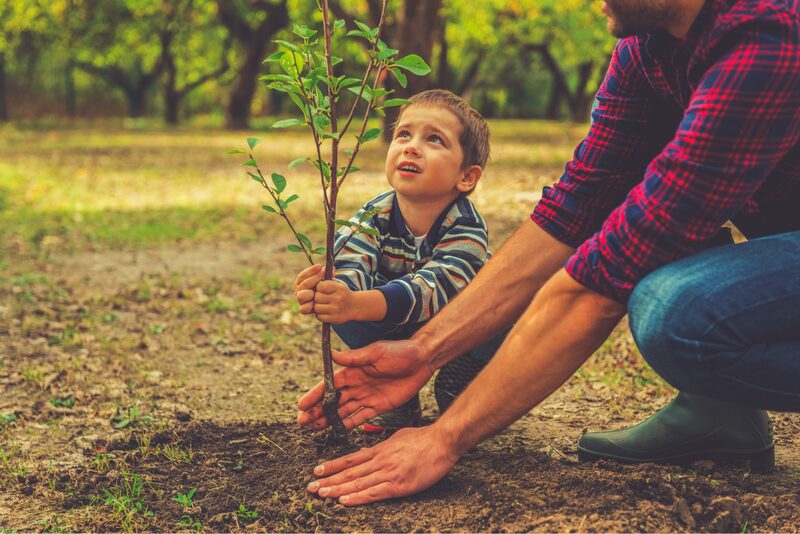 Southern California gardeners can plant nearly any type of tree almost any time of year, but you will have more success if you follow some simple guidelines regarding the best time to plant trees in your area. This means that, while you can plant a tree in the middle of summer and it might survive with extra water and care, that same tree will be healthier and grow faster if you plant it in a more favorable season. The first step in determining the best time to plant trees where you live is to understand your USDA Hardiness Zone. The United States Department of Agriculture has defined 26 hardiness zones based on the average annual minimum temperature in winter. Knowing your zone can help you choose plants and trees that are more likely to thrive in your area and will help you better understand when to plant different types of plants and trees for the best results. The zone in which you live will also determine the varieties of plants and trees that are available at local nurseries at different times of the year. If you live in coastal Southern California, you probably live in Zone 10a or 10b. If you live farther inland, you may live in Zone 9a, 9b, 8a, or 8b. If you are not sure which USDA Hardiness Zone you live in, you can enter your ZIP code into this interactive map to quickly find out. Generally speaking, the best time to plant trees in most areas of Southern California is late fall through early winter. Trees planted during this time enjoy cooler weather and shorter days, which means enduring fewer hours under the hot sun. There are, of course, exceptions to this, and some trees have the best chance of survival when planted earlier or later in the year. We will address these exceptions in the sections below. Planting just before the rainy season begins or shortly after allows you to save water, since rain will help out with the extra irrigation trees need as they are establishing their root systems. With shorter days and lower temperatures, soil loses less moisture through evaporation during this time of year, so that is another bonus. 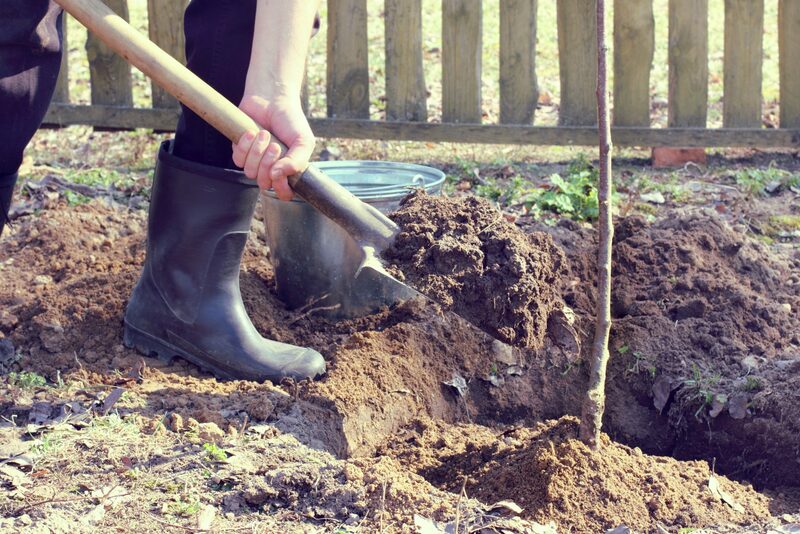 Additionally, planting trees in late fall allows them to focus their energy on root growth for the first months. Therefore, the root system can begin to establish before the spring growing season arrives and the tree’s energy is split between root growth and foliage growth. This early focus on root growth also helps your trees better prepare for their first dry, hot summer. September is technically part of the fall season, but most areas in Southern California are still quite warm in September and often well into October. Most years, you will want to wait until at least the latter half of October to start planting trees that do well when planted in fall or winter. Keep in mind that you may not see a lot of visible growth in the first several months. This is because the majority of fall and winter growth happens underground in the root system. Spring and summer are the seasons where you will see more growth aboveground. Some fruit trees and other frost-sensitive trees, such as ficus, do not do well in cold weather if they have not had time to become established before they experience their first frost. Therefore, if you live in an area that freezes, you will need to wait to plant cold-sensitive trees until after the last frost in spring. This will allow your fruit trees, ficus and other sensitive varieties to gradually get used to days getting longer and temperatures getting hotter as we move into summer, and then to gradually get used to cooler weather and shorter days as we move towards the first freeze of winter. You will likely find the best variety of bare root trees available in January and February. This is particularly true regarding bare root fruit trees. If you live in an area that does not freeze or rarely freezes, you should be fine planting your bare root trees at this time. However, if you live farther inland or at a higher elevation where you may experience frost as late as March or April, you will need to wait until after the last frost of spring for the best time to plant trees with bare roots. It is important to remember that bare root trees should be planted while they are dormant. In parts of Southern California that have mild winters, you can also plant bare root trees in late fall or winter. Avocados are hardy in zone 10 and 11, which means coastal gardeners have a little more leeway in when to plant avocado trees as compared to our inland neighbors in zones 8 and 9. Avocados, in particular, can be difficult to start, since some varieties do not do well in extreme cold or extreme heat. This can make it difficult to know when to plant them. Hass avocado trees are a good example, since they are more sensitive than some other varieties. Hass trees are often planted between March and June when the soil has had a chance to warm up. But planting as late as June could set your tree up to fail, since its young root system will not be able to adequately absorb enough water to get it through a scorching Southern California summer. However, Hass avocado trees are also sensitive to cold, so planting them before the last frost of spring can also get you in trouble. One trick used by some gardeners is to plant a Hass between hardier varieties, such as Fuertes, to provide some protection from extreme temperatures. It is okay to plant trees in summer in some parts of the country, but this is not the best time to plant trees in Southern California. It is simply too hot and dry. Extreme heat and drought conditions will cause your trees significant stress, particularly if they are not established before the heat arrives. If you have to plant trees in summer, install an automatic irrigation system to keep them well watered and make sure they have some type of protection from the sun during the hottest hours of the day.